Headlines full of layoffs not only remind us that we are in an economic downturn but also instill fear that we could be next on the list. Friends confirm that the level of anxiety is running high in many organizations. There is talk about cancelled projects and a prevailing atmosphere of uncertainty and worrying. Worrying causes stress. When we sit around and worry about losing our jobs, for example, we activate the same physiological responses that we evolved to respond to acute physical danger. If stressors go on for a long time, they can make us sick, says Robert M. Sapolsky, author of the highly-acclaimed book, Why Zebras Don’t Get Ulcers . Sapolsky emphasizes that our stress is often due to a lack of control and predictability, a lack of outlets for frustration, the perception that things are getting worse, and a lack of predictive information and social support. Zebras don’t get ulcers because they only respond to the lion that is chasing them at the moment. Stressful enough, for sure! But zebras don’t worry about the lion that almost caught them last week or the one that might chase them in the future. Since we are not Zebras and do worry about the future, we experience more psychological stress. The first step in coping is to become aware of our stressors and identify techniques that will help us in the face of a major stressor. Here is a list that I started of things that we can do. Please add to it! Build your social network: Sapolsky emphasizes that one of the best outlets for stress is a social network you can lean on. Many of us have heard the good advice that when you feel like you’re drowning in your own problems, find a way to help someone else. Build a network both at work and outside of work. Consider using social media to link to people in your field. As Chris Brogan says, „nothing is a solo sport any longer.“ By hearing what others are doing and sharing our experience, we don’t feel alone. Slow down: Set time aside every day to unwind. Sapolsky suggests that we need to remind ourselves to take one step at the time. Meditate: Everyone will recommend a different technique. Find one that works for you. I like Jon Kabat-Zinn’s mindfulness stress-reduction meditation. Don’t spread the worry: Make sure you don’t give your ulcers to anyone else. Sapolsky mentions that one effective way of reducing your stress is to take it out on someone else. However, this will come back to haunt you at work and in the family. Protect your team from stress: Team leaders need to be extra sensitive to stressors and responses to stress in the team. To counter lack of predictability team leaders should communicate clearly and frequently. Make sure that the team knows where things stand and that you are there to look out for their interests. In this video Stanford University professor Robert Sapolsky talks about ideas from his popular book. Video portrait of Robert Sapolsky from the National Geographic special: Stress: Portrait of a Killer. 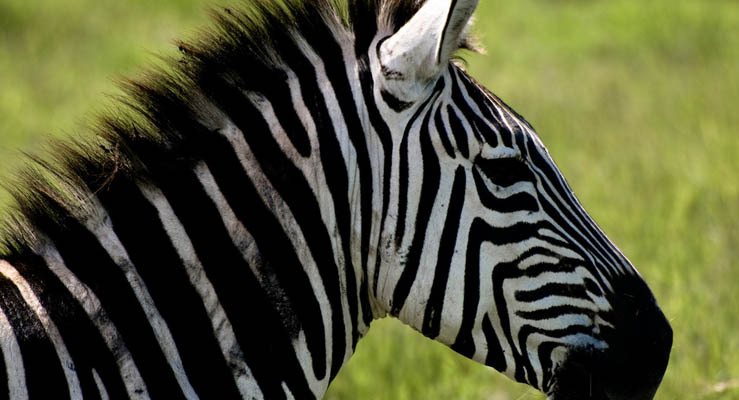 Podcast from Stanford University’s “Healthy Living” series on Why Zebras Don’t Get Ulcers.